Optage home and community services, a division of Presbyterian Homes & Services, help you maximize your potential by bringing the services you want and need into your home and within our senior living communities. 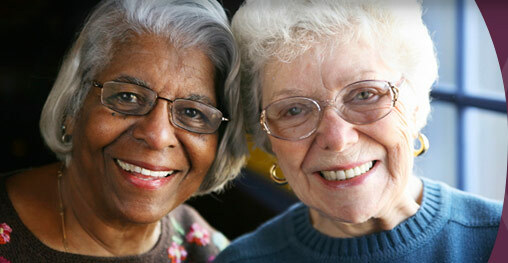 Our clients open their doors to us because they know we can be trusted and will listen to what is important to them. Your goals, your dreams, your concerns-we work to help you achieve and address them. Why not build your bridge on the strong foundation you already have? Your home is your haven where you feel secure. It offers stability, freedom and solace. We understand that. That's why Optage exists: to provide services, care and support to those whose needs are changing, but want to stay in that place of familiarity and comfort. Optage gives you personalized choices. You select from an extensive range of services, the ones that will benefit you most. We call these Bridging Options. From home-delivered meals and companionship to personal care, therapies and end-of-life care, the possibilities and combinations are nearly limitless. You choose what fits your life and your style. Gaining access to help that may have been out of reach can enhance your confidence and allow you to feel better. While the best you is different for each person, our expertise in integrating the right services with compassion and a ministry perspective, makes it easier for you to live the optimum life.